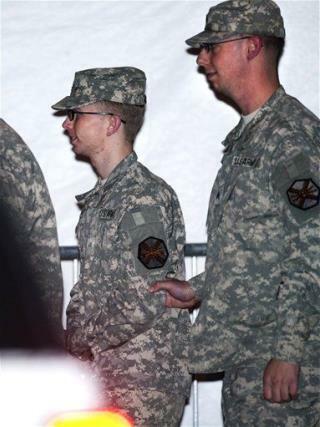 (Newser) – Prosecutors unveiled a damning litany of evidence yesterday at a pretrial hearing linking Bradley Manning to the massive leak of government materials posted on WikiLeaks, reports the Washington Post. The trove includes chat logs between Manning and Julian Assange, testimony that Manning's computers contained more than 100,000 State Department cables, and an email Manning wrote in 2010 taking responsibility for the leak of the 2007 Apache helicopter video showing the killing of two journalists. Too much politics involved in this case. This dickweed will get twenty years and be out in seven for good behavior. If it were up to me and one American Agent or servicemember lost his/her life over this leak I'd give Manning life without parole. Case Closed!